From an all too familiar scene we've seen from the trailer, we've got a new still from Peter Jackson's The Hobbit: The Desolation of Smaug. In it Legolas and Tauriel is having a discussion about the existence of both good and evil, as if they were their usual coffee table topic. 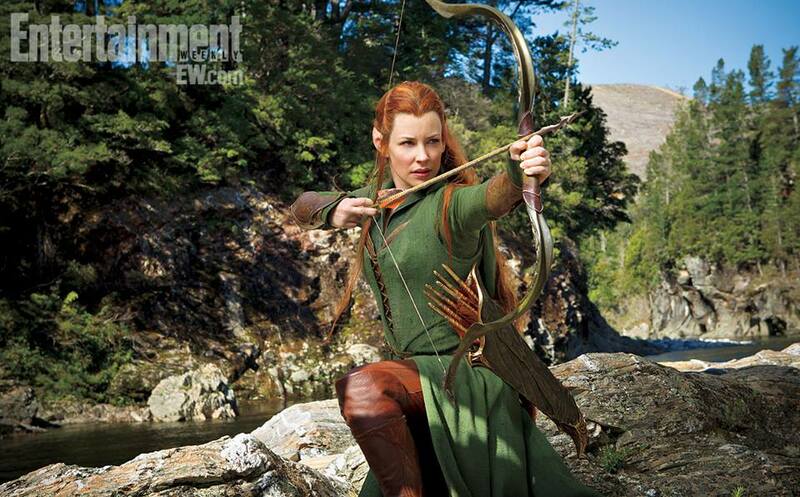 Entertainment Weekly has released this new still just like with the old ones before. The movie is still so far away, so will accept and devour every materials no matter how repetitive they are. I just hope Peter Jackson releases a new production video again, for a change. 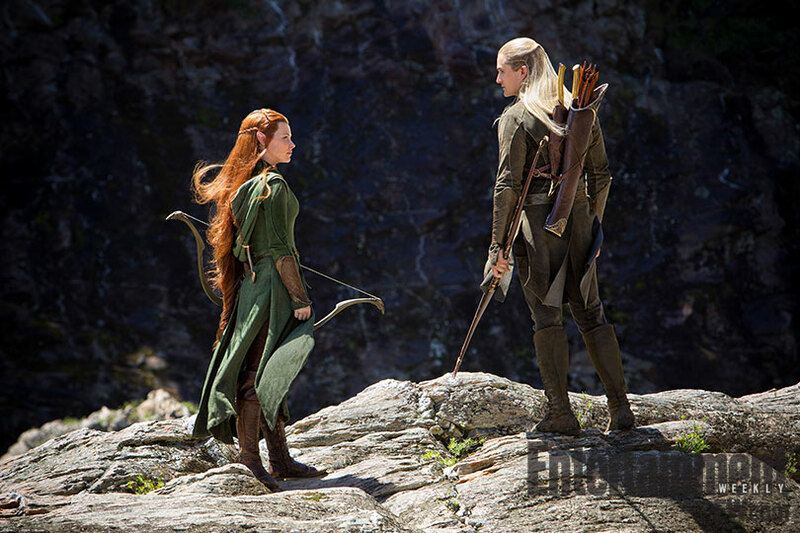 Do you think we'd see a little romance between Legolas and Tauriel in the movie? Now, if you review the old stills we might be able to conclude that the following photo maybe coming from a connected scene. Just look at the environment, the look and feel, the moment, and the bow, suggesting the scenes have a few moments of gap between them. But we can't say which comes first. Let's all have a field day when The Hobbit: The Desolation of Smaug gets released on December 13, 2013.